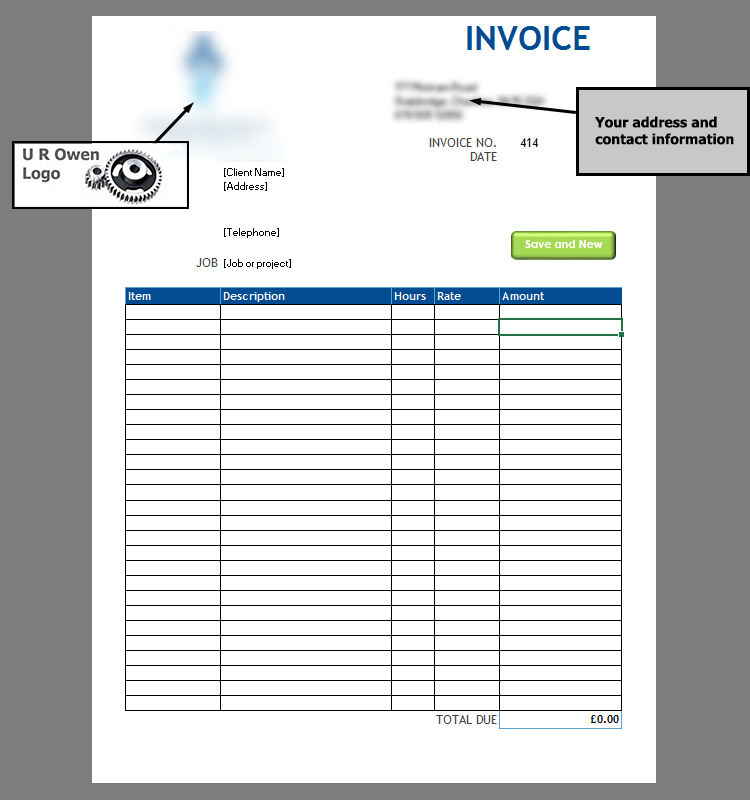 Recently, I produced an Excel Invoice Template for a client, which included a number of automated features. Each row in the item column can be filled in from a drop down list, such as Installation/Maintenance/Travel etc. Against each of these a standard hourly rate can be automatically dropped into the appropriate column. The result is calculated in the final column with a total at the bottom. Macros written in Visual Basic for Applications (VBA) are run on clicking the “Save and New” button. A final copy of the Invoice is prepared. The Button is removed (hidden). This is saved – along with a 2nd PDF version. (for emailing). A one line summary of the invoice is written to a ‘Tracking Sheet’. 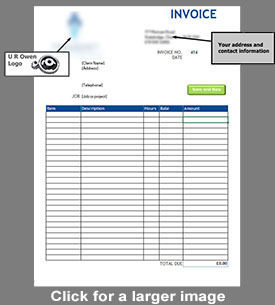 The invoice template is then cleared, and invoice number advanced by one, ready to start again. I am making this template available to anyone for a fee . The template which you receive will be customised for your business, with your own logo, business address and corporate colours. The drop-down item list is adjusted to suit your business activities, whether products or services. This is self-customisable should things change in your business. VAT can be calculated on each line or the total. The price is £22 plus VAT (and upwards; depending on the extent of customisation).